Written at the entrance of a factory shop floor in Pernik, an industrial Bulgarian town close to the capital, this slogan predicted an uprising. According to workers’ testimonies, the slogan had been written before the February 2013 Bulgarian protests. Nevertheless, the glass did not overflow in the plant during 2013, as it did not overflow in the early 2000s, when the privatization process brought mass layoffs and pay cuts. Since 2013, in different parts of the country, workers went on strike because they were long-term unpaid. However, workers in Sofia and Pernik, who were low-paid but regularly, and with whom I conducted fieldwork in different periods since 20071, did not participate in the urban protests in February 2013 and July 2014 that contributed to the fall of two successive governments and happened during a period of economic destabilization, with the near collapse of a bank. In this presentation, I explore reasons and mechanisms of workers’ nonparticipation of the ongoing Bulgarian protests. There is a methodological trap here: an ethnography that searches for the lack of an action already presupposes that the ethnographer would anticipate an action. Nevertheless, Bulgarian workers also comment on the lack of their political participation and give various reasons for this. I take their concerns seriously, and I am attempting to think with them and through their daily talks as well as through their practices at work and at home. Protests against austerity in February 2013 were massive for Bulgarian standards; they took place all over the country and were accelerators of governmental change a few weeks after they began. Moreover, a new phenomenon in the country, that of self-immolation as a form of protest, marked the new period. There were at least seven cases of self-immolation during and shortly after the winter 2013 protests. Some of them clearly stated their protesting character, choosing public spaces, such as in front of the town’s municipality. These individual acts of hopelessness may also be seen as strong statements that participation to collective action is not seen as an effective possibility—although these acts seemed also as strong attempts to generate collective change. Nevertheless, this topic requires research that goes beyond the limits of this study. After the election of the new government in May 2013, a new wave of summer protests took place, this time only in Sofia. These were numerous at the beginning, but their numbers dwindled radically over time, and they continued for months on a daily basis. Sometimes, even a few hundred protesters in front of the Bulgarian parliament were enough to appear in the headlines and in daily talks among people, and, although not mass gatherings, they generated mass discussions about political processes and participation. My eight-month fieldwork in Bulgaria from September 2013 to May 2014 focused on industrial workers’ lives and families during a period that the second wave of protests was fading out. I hardly met any people who participated in the recent protests but many who talked about them on a daily basis. Moreover, workers in both Sofia and Pernik not only did not participate in the recent political events but also often expressed disappointment for their outcome, as well as a general mistrust to any kind of political participation and to the “protesters.” Although I arrived in the field with an expectation that workers would be more engaged with political activism, and perhaps more active in syndicalism, compared to my fieldwork period from 2007 to 2009, very soon I found out that workers viewed these processes as remote from their lives. Although there are insightful publications about the character of the protests, the profile of the protesters and their demands (e.g., Ivancheva 2013; Medarov 2014; Smilov and Vaisova 2014; Tsoneva 2013), there has been little attention on the vast majority of those who did not participate in the protests. Bulgarian and international media often represented the February protesters as part of the “working class” and the summer protesters as the “middle class.” To a great extent, summer protesters were indeed self-presented as “middle class.” Nevertheless, various authors have underlined how the class synthesis of the protesters was far more unclear and that many of the protesters were people with higher education degrees working at precarious and often underpaid white-collar positions in various companies (Nikolova 2014). It is in this general context of ongoing political processes that I position the ethnography that follows: an ethnography based on the daily lives of industrial workers, some kilometers away from the center of the protests in Sofia, where one may not find quick rhythms of change in similar ways with the wider political picture but rather a monotonous rhythm of production. First, the lack of social welfare was replaced by “kinfare” (Deneva 2012). Many workers have to support unemployed or underemployed family members as well as pensioners under low-pension schemes. As a result, there are strong relationships of interdependency inside households and extended families, in addition to practices of solidarity among kin and friends. Second, daily work life became significantly harder, as tasks were now fulfilled by significantly fewer people, even in cases where there was no significant machinery renovation. Workers in several companies now had to not only work harder but also take more risks at work: some positions that had been filled, for example, by four people, were now occupied by one worker and required more concentration during the whole shift. As such, people had a high probability of accidents and other health problems, even in cases where the machinery has been modernized. Finally, harder working conditions were not necessarily followed by better payment. Rather, they were accompanied with economic hardship. Many households got loans to cope with daily needs or housing projects. Moreover, while market prices rise, salaries remain low, especially after 2008, as a result of the financial crisis. Workers who mostly got loans before 2008 estimated initially that they would pay the loans back, according to their previous salaries and market prices. At a survey I conducted, the great majority of workers above the age of thirty are indebted to a bank. Loan-free exceptions were mostly young people who did not have children and casual (mostly Roma) workers whose income did not allow them to get a bank loan. Most of the workers linked the lack of their political participation with economic hardship and instability and said that they did not strike or protest mainly because they were indebted to banks. As many mentioned, they were afraid of losing their job because of political activism or unionism. Similarly, the great majority are not members of unions, which are largely seen as “corrupted,” similarly to political parties. As Gavin Smith and Susana Narotsky (2006) have argued, there is a link between political oppression and lack of political response. Similar to workers in Spain (ibid), Bulgarian workers experience growing political alienation, which is strongly connected to their dispossession, as well as to the painful effects of financialization of capitalism in their lives. They have to deal with risk on several levels: health risk at work in addition to job market and credit risk. The price of their very same repetitive labor, which some of them did for as many as thirty years, might change for reasons irrelevant to their actual labor. The prices of loans also changed, compared to the salaries, and may unpredictably change again. As Guyer (2009) has argued, it is the monetization of life and the price component that make risk a kind of new “fictitious commodity” (Polanyi  2001). 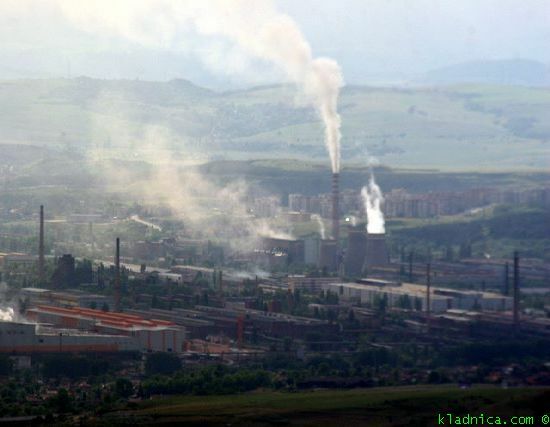 Although Bulgarian protests, especially the ones in February 2013, were about the unbearable market prices, workers did not protest, because, as they said, they had to cope with difficulties in their daily lives, including the unbearable prices. Nevertheless, this did not fully answer my question, given that, although they did not unionize, they could still protest along with other protesters at the urban centers without risking their jobs. Additionally, many workers have more than one job, in order to cope with low salaries and debt. Therefore, it was also a matter of time management, as many reasoned. However, the nonparticipation of political mobilizations was further complicated by a language of corruption, as well as a combination of an anticommunism and ideas for a return to the stability of the national economy. According to most of the workers, the protests were thought to be driven by political parties and were part of the same problem they were addressing, that is, “corrupted politics.” There was a widespread opinion that the February 2013 protesters were actually “paid” by the party in opposition, as the summer ones were believed to be “paid” by the party that just resigned from the government. There were also rumors about specific tariffs one would get for a day of protest. Everyone had heard about the amount of the tariff but none of the people I spoke with actually knew someone involved in such a transaction. This belief of paid protests significantly discouraged people from participation, although they themselves would often express ideas similar to those of the protesters. We used to have a house (the Bulgarian state), which had bad quality windows. Instead of changing the windows, those communists demolished the whole construction. And they gave all assets to foreigners to rebuild the house. The Bulgarian nation is only losing from this. Ivo mentioned various benefits he had had as a worker during the previous era and stated that he supported the right wing that stands for a strong national economy. “Communists,” in these kind of common everyday political discourses among workers, did not get credit for building the previous national economy, but they were to be blamed for the demolition of it or for errors in constructing it. The end of modern teleologies? An ideological void? Chicago -20, feels like -40. Sofia 2013, feels like 1989. 1. This presentation is based on fieldwork conducted in 2013 and 2014 at the industrial town Pernik, Bulgaria. This project is part of the Max Planck Institute for Social Anthropology team project on “Industry and Inequality in Eurasia.” It also draws material from my doctoral research in Sofia from 2007 to 2009. All names of people and companies in this text are pseudonyms in order to protect their anonymity. Deneva, Neda. 2012. Transnational aging careers: On transformation of kinship and citizenship in the context of migration among Bulgarian Muslims in Spain. Social Politics: International Studies in Gender, State, and Society 19(1): 105–128. Dunn, Elizabeth. 2004. Privatizing Poland: Baby food, big business, and the remaking of labor. Ithaca, NY: Cornell University Pres. Guyer, Jane. 2009. Composites, fictions, and risk: Toward an ethnography of price. In Chris Hann and Keith Hart, eds., Market and society: The great transformation today. Cambridge: Cambridge University Press. Ivancheva, Mariya. 2013. A vicious cycle? Some notes on the Bulgarian protests from the summer of 2013. LeftEast, June 26. Kalb, Don, and Gábor Halmai, eds. 2011. Headlines of nation, subtexts of class: Working-class populism and the return of the repressed in neoliberal Europe. Oxford and New York: Berghahn Books. Kofti, Dimitra. 2013. Everything is new but everything is the same: Transformations of labor in a factory in Bulgaria. PhD thesis, University College London. Medarov, Georgi. 2014. “Legitimating neoliberalism in times of crisis: The Bulgarian protests in 2013.” Chronos, Issue 10. Mollona, Massimiliano. 2009. Made in Sheffield: An ethnography of industrial work and politics. New York and Oxford: Berghahn Books. Narotzky, Susana, and Gavin Smith. 2006. Immediate struggles: People, power, and place in rural Spain. Berkeley: University of California Press. Nikolova, Madlen. 2014. The Bulgarian “creative class” and the reproduction of neoliberal ideology. LeftEast, May 16. Streeck, W. 2014. How will capitalism end? New Left Review 87: 35–64. Tsoneva, Jana. 2013. Real power directly to the people. LeftEast, March 7. Cuvinte frumoaste am citit pe pagina dumeavoastra. Va veau mult succes in in aceasta lucrare.